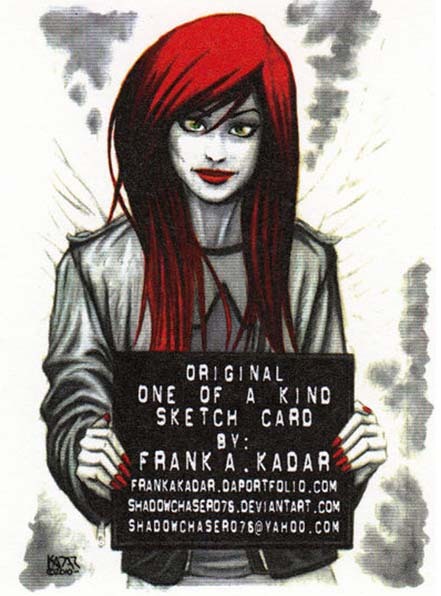 A rare and great opportunity to get some original sketch cards from Frank Kadar. This will be original commission (you choose the character!) done in copics, watercolors, acrylics and color pencil. Click here for a great opportunity! Frank has worked on many sets including Marvel Universe 2011, Marvel’s Dangerous Divas & Marvel Heroes and Captain America. 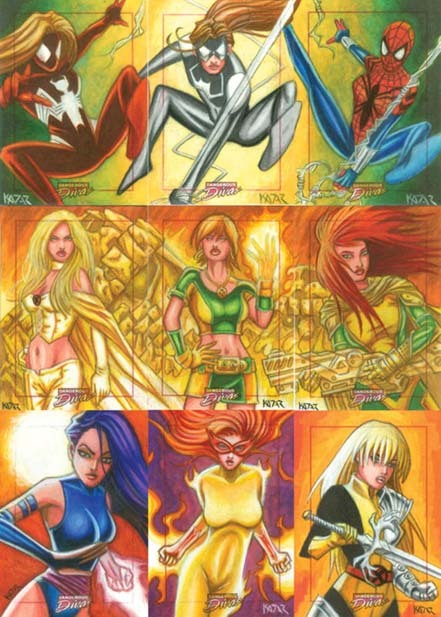 This your chance to get art from if you couldn’t afford the other prices on Ebay or elsewhere!